News headlines from Europe about skeptical activism, mythbusting, science related policy decisions, consumer protection, frauds, health scams, alternative medicine, bad scientific practices, pseudoscience etc. István Vágó, former President of Hungarian Skeptic Society, former television host for the Budapest-based TV2, best known as the host of “Legyen ön is Milliomos” the Hungarian version of “Who Wants to Be a Millionaire?” launched a TV series on a cable TV channel Fix TV. Vágó is discussing controversial topics as UFOs, energy healing, chemtrails, GMOs, astrology etc. with his invited scientist and skeptic guests. The series provides a sharp contrast to the esoteric series Enigma aired on the same TV channel. In 2007 Vágó had a similar 11 episode TV series on ATV called X-Aknák together with current president of Hungarian Skeptic Society, Gábor Hraskó. 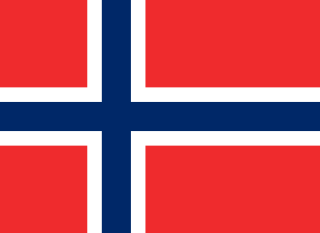 Norwegian skeptics have since 2009 been meeting regularly at pubs or taverns in Oslo. Their website can be found in the link or you can search the phrase “skeptikere på puben” at Facebook. Meetings are usually once a month, but will be held at different dates or venues depending on different circumstances. In a tv interview the norwegian princess claims to communicate with horses. Having previously competed in showjumping on a high level, the princess has started to dabble in pseudoscience. She also claims to communicate with angels, offers courses for communicating with angels, animals or simple healing. She and her associate have also collaborated with Lisa Williams.